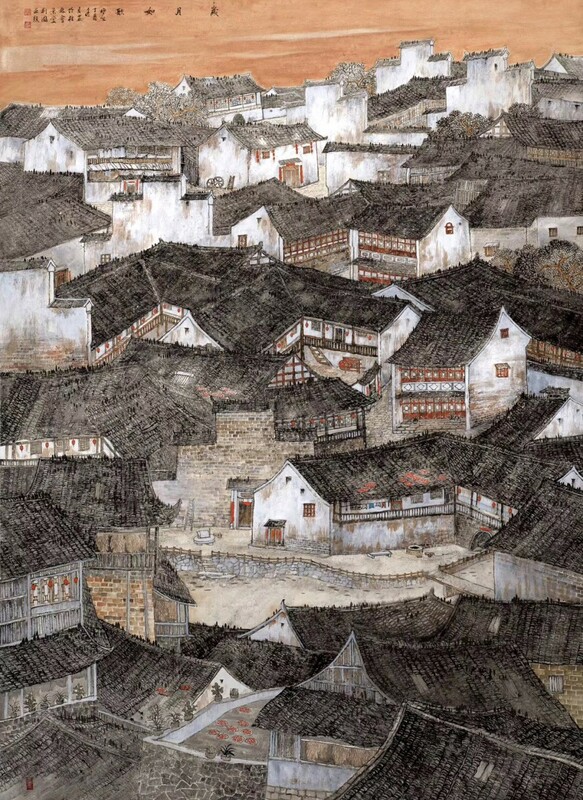 Overview：Contemporary art, size 240x158cm, traditional Chinese painting(2*). 1* Tang Liguo, also known as Guo Hong, is a young artist born in 1984, who lives in Beijing. He graduated from the Academy of Fine Arts of Beijing Normal University, and the China Academy of Art. He is currently a teacher of Guohong Landscape Painting Creation Center. 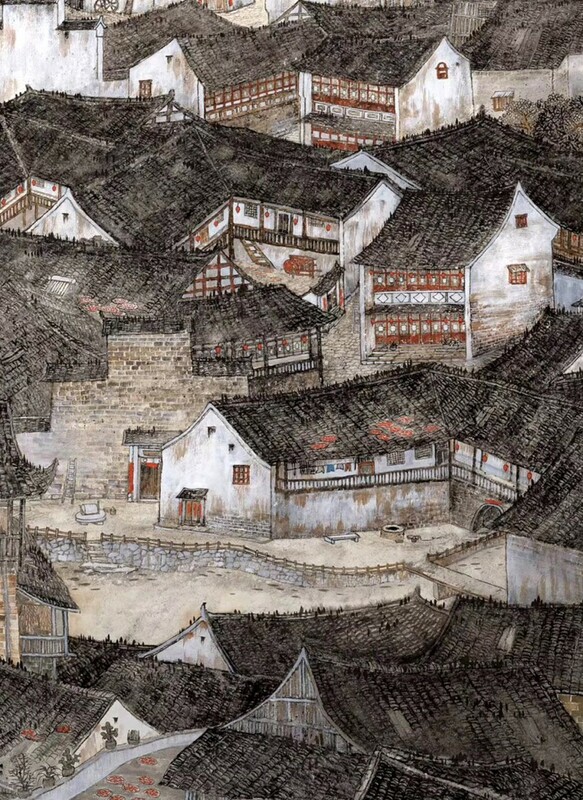 Also he is a professor of South China Normal University, a member of the Guangxi Artists Association, and a painter of the Chinese National Painting and Calligraphy Institute. 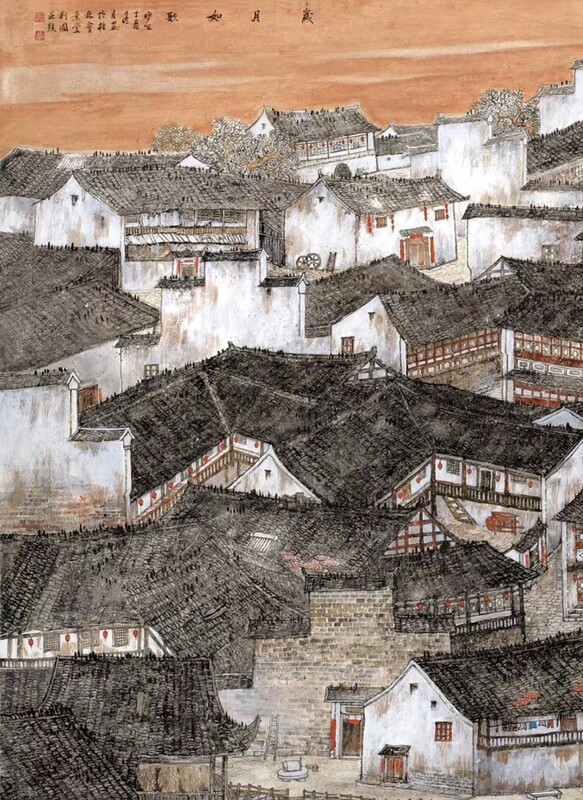 His works "Hometown", "Autumn Dust Home", "Amazing Dreams in the Garden"(Gold Award), "Chinese Folk Songs"(Excellence Award), etc., have been recognized with numerous national awards, and have been collected by arts associations and private collectors.